The Enuma and clay tablets like the one below depict our solar system half a billion years after the Sun and its planets clarified. 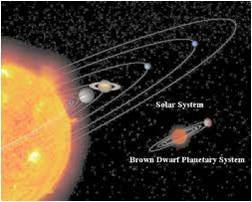 The Planet Nibiru revolves around the Dark Subdwarf NEMESIS, (48 astronomical units from Earth) crosses our inner solar system every 3,600 or 3,450 years. 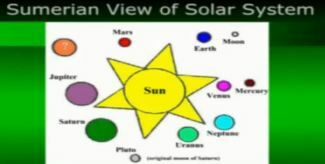 Enuma says how Earth, Moon, and the Asteroid Belt formed when Nibiru entered our solar system. 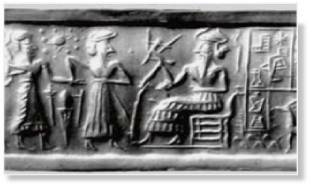 Our scientists confirm the astronomy Enuma depicts [Sitchin, Z., 2010, There Were Giants Upon The Earth, page 103]. The summary I give below omits Enuma’s allegorical language, which anthropomophized planets and stars as sentient and capable of choosing behaviors. Then the Sun created Mercury and blasted parts of Mercury as comets and meteorites with water and gold to Tiamat. Planet-pairs formed: Venus with Mars, Jupiter with Saturn, Uranus with Neptune. 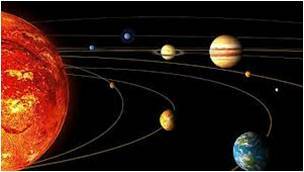 These planets orbited the Sun counterclockwise, as did Tiamat. Tiamat lacked a partner-planet, but one of her moons, Kingu, enlarged. Kingu started to partner with Tiamat as had Venus and Mars. Then Kingu could orbit the Sun, not Tiamat. 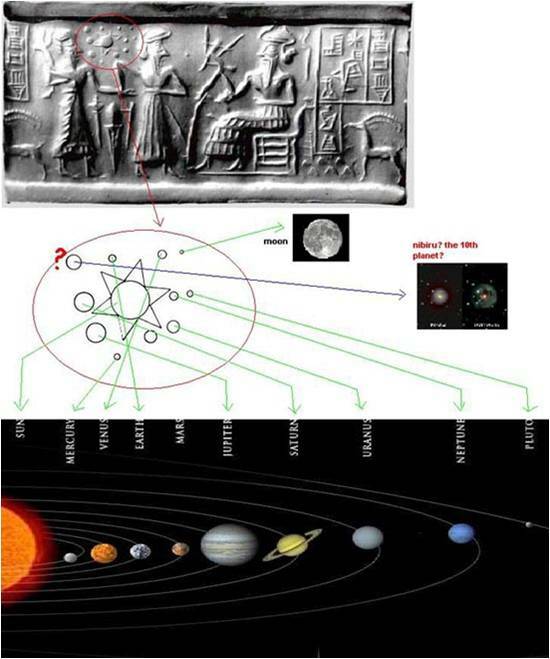 But, four billion years ago, before Kingu could orbit the Sun, Nibiru invaded the Solar System clockwise, the planets’ orbits shifted toward Tiamat,” and Tiamat and Nibiru sprouted moons. 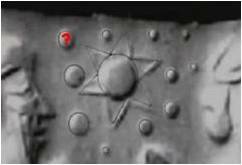 Kingu, our moon, “turned into a lifeless circler, doomed forever to circle Earth” rather than orbiting the Sun, as it would have been had Nibiru not invaded the Solar System [ZS, 2010, There Were Giants Upon The Earth, pages 111 – 114]. 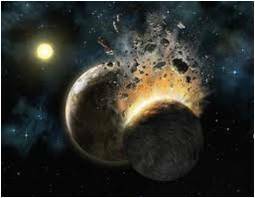 When Nibiru pierced our Solar System, it lost three of its moons and tore four moons from Uranus. 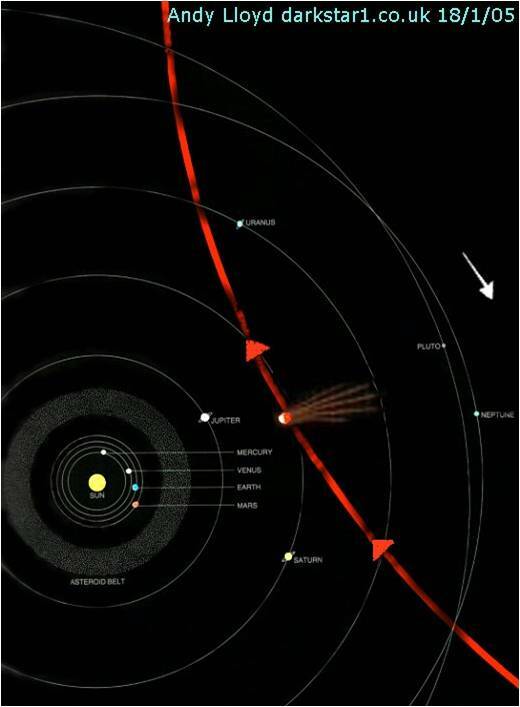 When Nibiru passed Uranus, it tilted Uranus’s orbit. 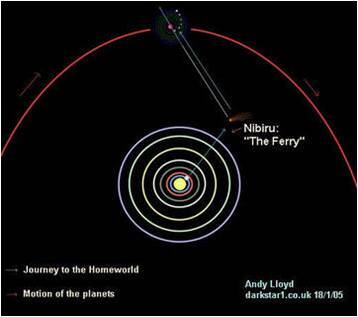 Nibiru pulled Gaga, Saturn’s largest moon, into clockwise orbit (between Neptune and Uranus). We call Gaga Pluto. 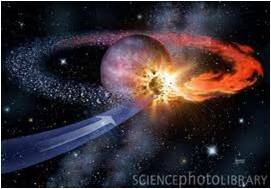 200 million years ago, North Wind, one of Nibiru’s moons, struck Tiamat. 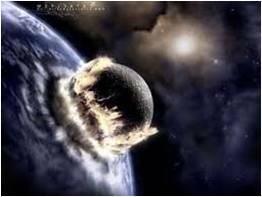 Then Nibiru itself hit Tiamat and gouged a huge gap, the Pacific Basin, in it. Chunks of Tiamat, now asteroids, careened into space. Earth’s what the collisions left of Tiamat. Nibriu and its moon, North Wind, hit and gouged out the Pacific Basin. Earth’s crust age is 4 billion years old on continents but only 200 million years old under the Pacific. The crust measures 12 – 45 miles deep on continents but only 3.5 – 5 miles under the Pacific. 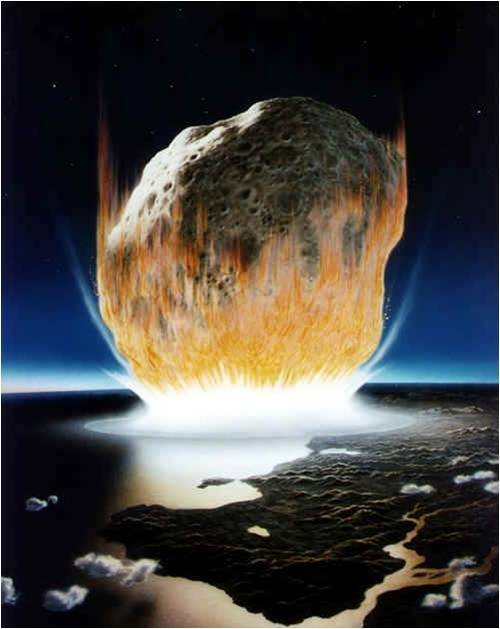 200 million years ago, when North Wind and Nibiru hit Tiamat, no crust at all remained in the Pacific Gap, only a gaping hole. After the collisions, silt ran into the hole from the continents and volcanoes spewed lava into it; they created the thinner crust under the Pacific. 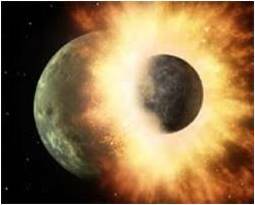 North Wind and Nibiru broke Earth’s crust into slabs. Then “Earth evolved and attained the shape of a globe dictated by the forces of gravity, the waters gathered into the cavity on the torn-off side. Dry land appeared on the other side of the planet. Breakup of the Earth’s crust, plate tectonics, differences between continental and oceanic crusts, emergence of a Pangaea [a single continent] from under the waters, the primordial encircling ocean” led our scientists to confirm the Nibiran model of Earth formed after NorthWind then Nibiru hit Tiamat. [Sitchin, Z., 1990, Genesis Revisited, pages 96 -105]. When North Wind and Nibiru hit Tiamat, they gave it rare molybdenum, needed for enzymatic reactions. Nibiru and North Wind set a “single genetic code for all terrestrial life.” [Sitchin, Z., 1976, The Twelfth Planet, pages 255 -256; 2010, There Were Giants Upon The Earth, pages 109-114]. 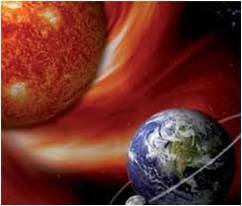 Nibiru stabilized into a clockwise orbit (Nibiru at the time revolved around the sun once for every 3,600 times Earth circled the Sun; one Nibiran year equaled 3,600 Earth years). 10,900 B.C. 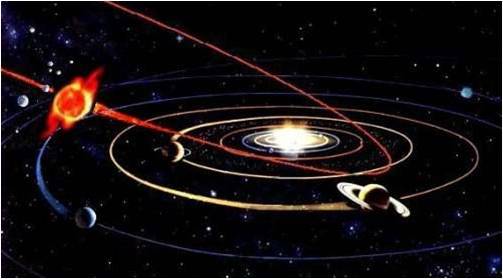 : Uranus drifted away from the Sun and sped Nibiru toward Earth sooner than 3,600 years. 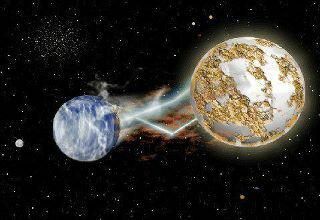 As Nibiru flew by, Uranus caught Miranda, a moon of Nibiru. Miranda, now a moon of Uranus, circled it instead of Nibiru. From 10,000 BCE on Uranus has boosted Nibiru’s speed so Nibiru circled the sun every 3450 Earth years rather than every 3600 years. 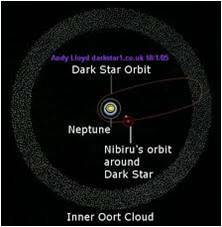 Nibiru next returns to the inner solar system in 2900 CE rather than 2012 as predicated on the earlier 3600-year orbit [Sitchin, Z., 2007, The End of Days, pages 315 – 317].